In-home design consultations are without obligation and come with a FREE gift — get a $25 VISA card or a portable device charger (Dual USB, 6000mAh). Do you have limited space, but need both a guest bedroom that can accommodate family or friends during the holidays or summers, plus a home office or living space for yourself during the rest of the year? Both of these needs can be satisfied with a single room when a Murphy style wall bed is designed into the solution. Existing square footage will do double duty when the space turns into a bedroom within moments — simply and easily without struggling to unfold a sofa bed or blow up an air mattress. They work great in child's bedroom to accommodate sleep-overs but fold neatly away to provide a bigger play area when not needed. Add one to a small studio apartment and you suddenly have an extra room. The possibilities are as endless as the custom configurations available. View our gallery of mult-purpose rooms with Murphy style beds here! View our gallery of accessories for home offices and rooms with Murphy style beds here! Have you ever thought about a room addition to your home, but nixed the idea based on the cost and bother of calling in a contractor to build onto your house in Northbrook, Illinois? Would you prefer a solution that doesn't involve construction to the building? A multi-function space might be the best solution for you! Whether you call it a Murphy bed or a wall bed, fold away sleeping quarters are great for small rooms and spaces that need to do double duty. The beds, which swing up into a wall mounted cabinet for vertical storage, help home offices serve as bedrooms and vice versa. Wall bed owners have the luxury of keeping a large section of floor space open for an exercise area, office, play room, etc, however, they are able to convert that space into a private guest bedroom in a pinch by simply lowering the Murphy style bed out of the wall. It's a very practical and economical way to add more space and functionality to a home without having to increase square footage. Wall bed systems from Closet Works include the highest quality wall bed available. They all come with a premium European slat wood support and mattress system. Our beds are available in twin, full and queen sizes. 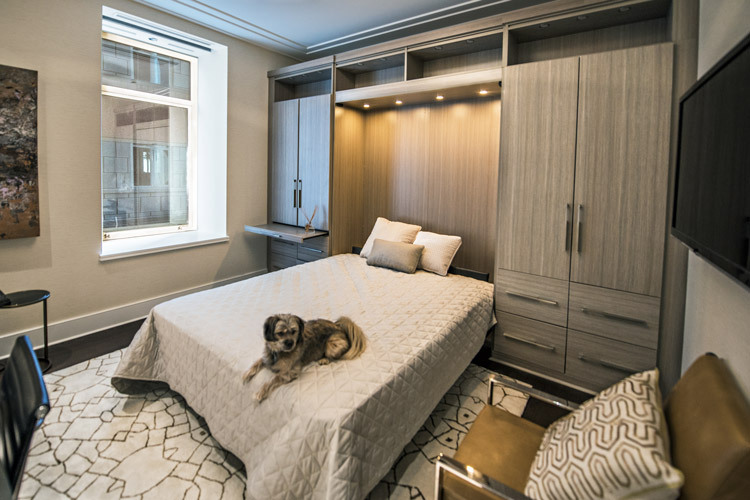 Closet Works uses panel type faux doors to conceal the mattress in its Murphy style wall beds, which can be integrated into full blown custom storage systems with with desks, shelves and other built-in furniture. The Murphy style bed doors can look like expensive cabinetry, the facade of an armoire, or even hold a flat screen TV! 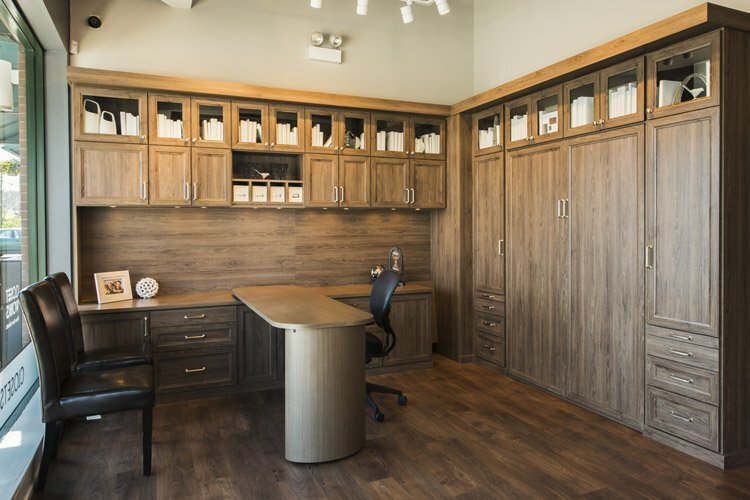 Designers at Closet Works are experienced in helping Northbrook homeowners and all of 60062 with space management and creating rooms that serve dual purposes. We are specialists in Northbrook Murphy style wall bed solutions and proudly serve the Chicago metro area. To get started with Closet Works today, call us at 800-425-6738 for your free in-home consultation. Start making the most of your space today! 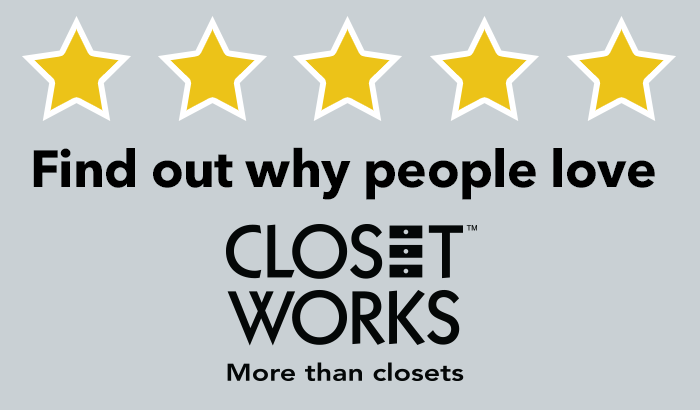 How Did You Hear About Closet Works? Please print appointment confirmation voucher and present it to your Designer during your appointment to be eligible. One card is issued for first time appointment and does not apply to repeat customers. Ask Us About Our 0% Financing Available to Qualified Buyers! Schedule a Complimentary Appointment Today! JOIN OUR EMAIL LIST FOR TIPS & PROMOS!